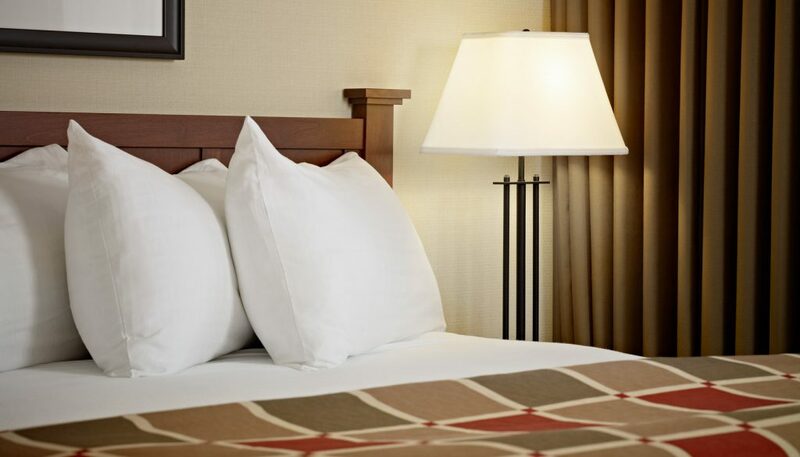 Whether you’ve been sightseeing around the island, shopping in historic downtown Charlottetown, or attending to business matters, you’ll love the feeling you get when you arrive at your spacious and comfortable accommodations at the Charlottetown Inn & Conference Centre. From Queen to King to Suite – You’ll find the ideal room (and suite) size and amenities to suit your needs from our selection of 143 guest rooms. FREE Hot Breakfast Buffet – Start your day with our hot and tasty breakfast buffet, available daily from 6:30am in our Breakfast Room. FREE Parking – While many other hotels charge a hefty daily fee, parking is always FREE at Charlottetown Inn & Conference Centre. 100% Smoke-Free – For your health and safety, we are pleased to provide our guests and associates with a completely smoke-free environment. Extend Your Stay And Save – Guests staying for 5 or more nights can enjoy our well-equipped suites at a very special rate. We’re Pet-Friendly – So don’t leave your fuzzy friends at home, bring them with you so everyone can enjoy their time away. 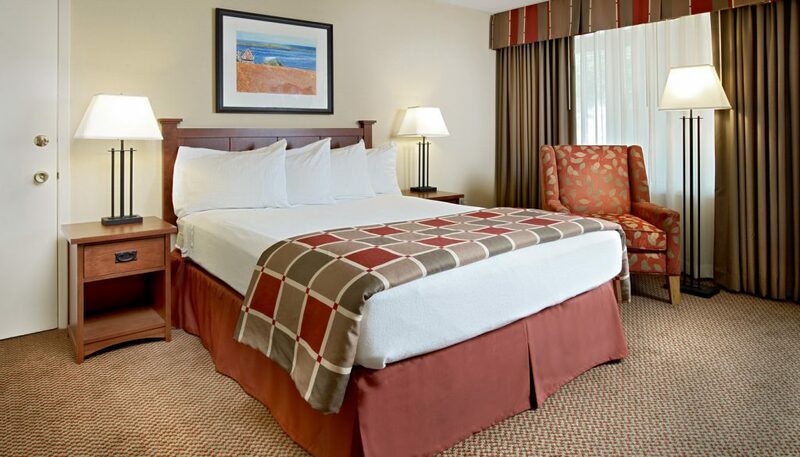 This comfortable guest room features a Queen Bed, Refrigerator and Air Conditioning. Rooms range from 250 – 294 sq ft. and include free high-speed Wi-Fi, free parking, free HD TV and a free hot breakfast buffet daily. 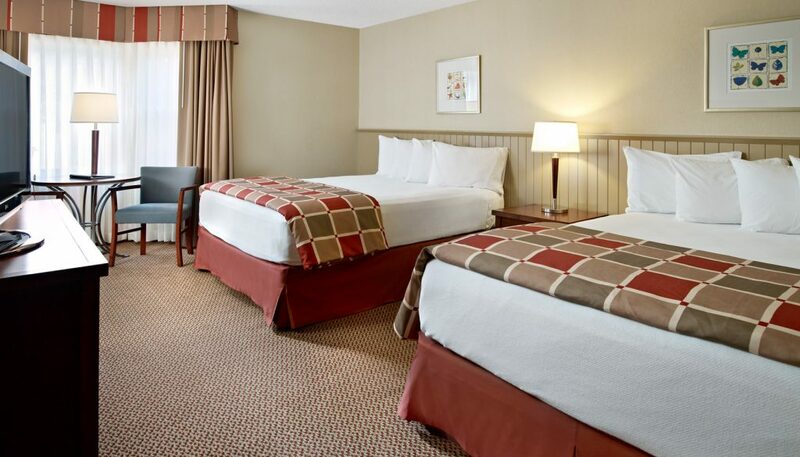 For those who need more than one bed, this guest room features two Double Beds, Refrigerator and Air Conditioning. Rooms range from approx. 280 – 324 sq ft. and include free high-speed Wi-Fi, free parking, free HD TV and a free hot breakfast buffet daily. 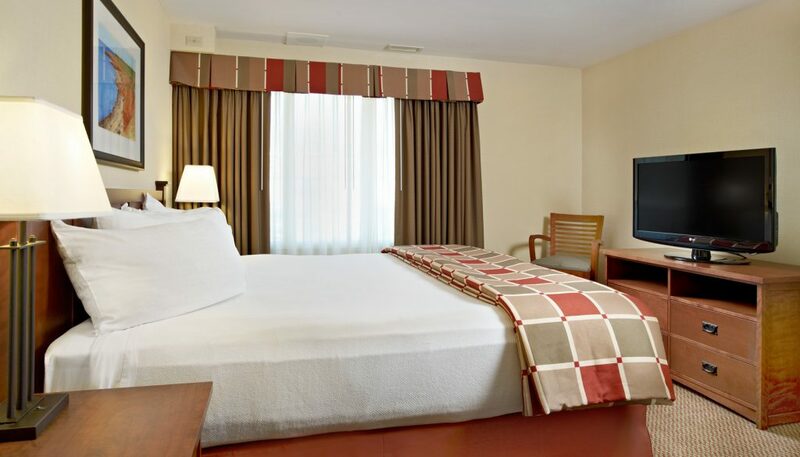 With a little more room to move, this guestroom features a King Bed, Refrigerator and Air Conditioning. Rooms offer approx. 230 sq ft. of livable space and include free high-speed Wi-Fi, free parking, free HD TV and a free hot breakfast buffet daily. A Full Kitchen with Refrigerator, Cooktop Stove, Microwave and Kitchen Amenities makes this studio room ideal for longer stays or for those who like to create their own culinary masterpieces. The guest room features a Queen Bed and includes free high-speed Wi-Fi, free parking, free HD TV and a free hot breakfast buffet daily. At approx. 390 sq ft., this one bedroom suite is spacious and designed for comfort. The suite features a Queen Bed in the bedroom, a living room with a sofa bed and sitting area, a TV in each room, a Full Kitchen and free high-speed Wi-Fi, free parking, free HD TV and a delicious free hot breakfast buffet daily. 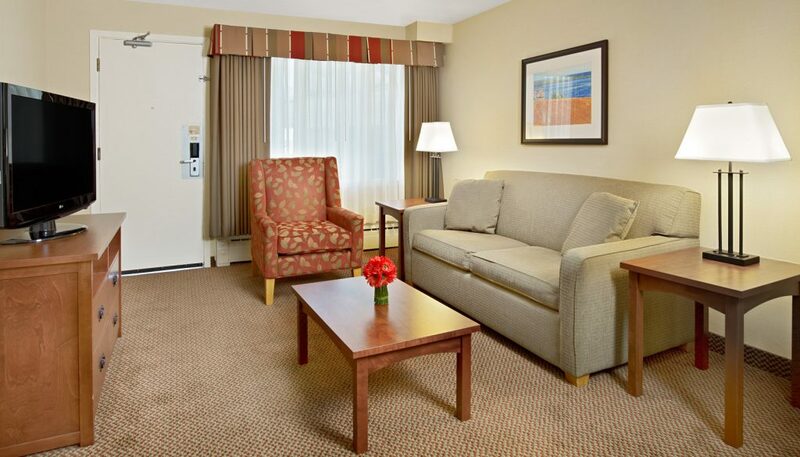 Our largest room type, this one bedroom suite is fit for a King! The suite features a King Bed in the bedroom, a living room with a sofa bed and a sitting area as well as a Kitchenette with Microwave and Refrigerator. Other highlights include free high-speed Wi-Fi, free parking, free HD TV and a free hot breakfast buffet daily.